For three years that “roof over her head” was a homeless shelter. While there she battled major depression, drug addiction, and a host of serious medical conditions that included high blood pressure, obesity, and asthma. And then Lorraine found her way to Horizon House’s Shelter Plus Care (SPC) program. When Lorraine was referred to SPC in 2009, she was under the influence of heavy medication to treat her various behavioral health conditions. Brenda recalls that during the initial intake appointment, Lorraine’s aspect was very flat and she was non-responsive but she was able to express that she felt her medications weren’t working. Before leaving that day, she was invited to attend SPC’s weekly Living in Recovery meeting. Lorraine recalls being extremely quiet at her first Shelter Plus Care meeting. She was experiencing side effects from the medications that produced excessive saliva. “I was embarrassed to talk, to open my mouth, afraid I’d start drooling,” she explained. Once the intake process was complete, Lorraine never looked back. She became one of SPC’s first graduates from the Philadelphia Department of Behavioral Health & Intellectual Disability Certified Peer Specialist program and has participated in the department’s Taking to the Streets Initiative, a community outreach program. A single mother of four grown children — three sons and a daughter — she is devoted to her family, her church and many volunteer activities. 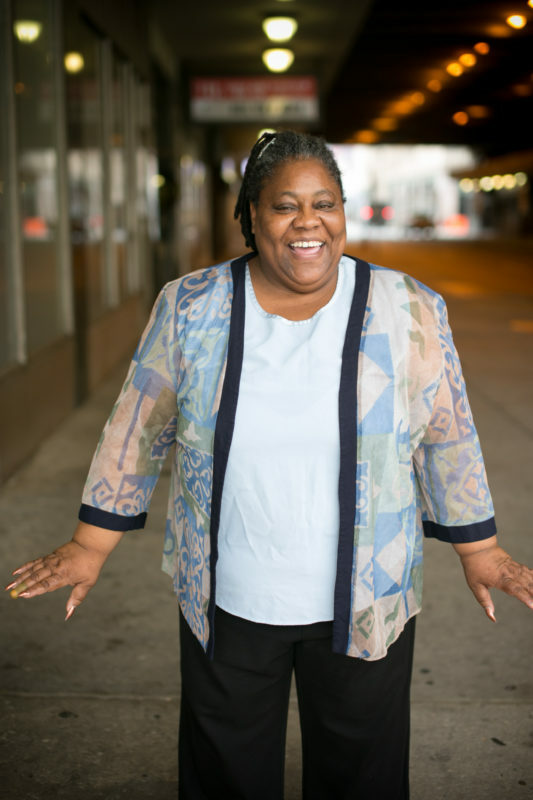 After over four years of being a part of SPC, Lorraine is happily living in her own home in University City in Philadelphia and employed by PennDot, the Pennsylvania Department of Transportation. She stays closely connected to the recovery community as her sobriety and health are paramount to her. She is determined to attend the Community College of Philadelphia to complete training and obtain certification as a child care provider to fulfill her dream of becoming a foster-care parent. “I’m finally home now,” she says with confidence.